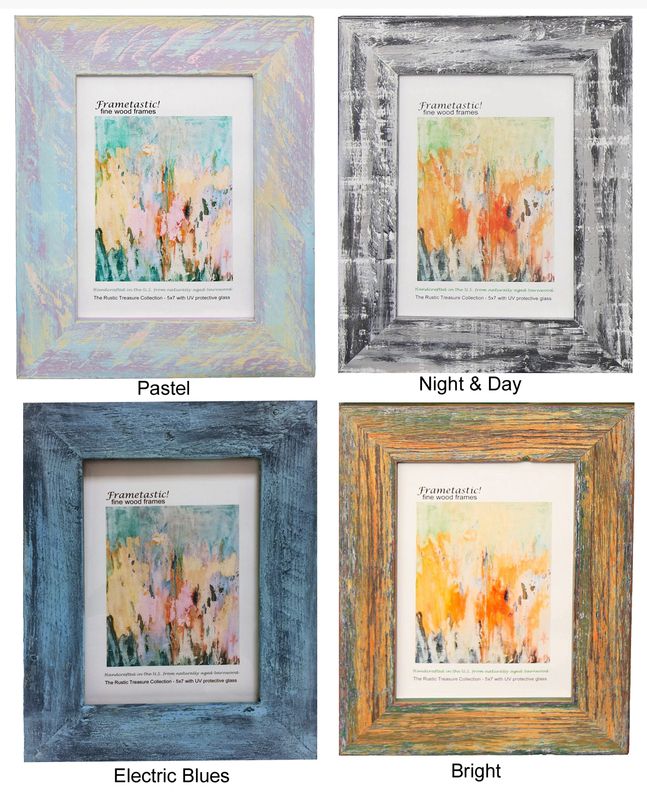 Modern Fresco – These photo frames are handcrafted from 1 1/2″ reclaimed barnwood. Each frame comes with UV protective glass, easel back, tissue wrapping, and gift box. Available in 4×6, 5×7, and 8×10 formats. To achieve this fresco finish, we repeatedly paint and sand the pieces until the colors are infused into the wood. Thus each frame is a work of art in and of itself.